Rosslyn, VA rests just across the potomac river from downtown DC, in the heart of Arlington. Home to some of the most influential people in the nation, Rosslyn is a hip, urban area with a walkscore of 94, making it a breeze to get anything you need without setting foot in a car or train. To get to downtown DC, it’s easy to hop on the Rosslyn Metro station, which services the blue and orange lines. 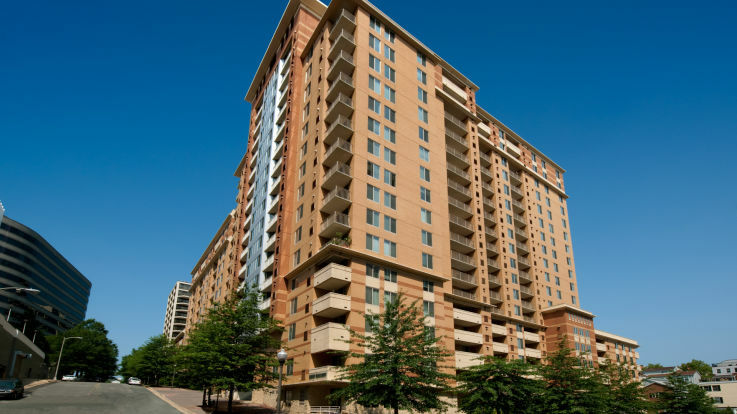 Our incredible Rosslyn apartments are just 2 blocks to the station. In addition to this great convenience, our rooms offer some wonderful amenities, including an outdoor pool and jacuzzi, a 24 hour fitness center, and valet dry cleaning services. Our passion is setting you up in an apartment that exceeds your every expectation. Let’s get started on finding you the apartment of your dreams.